The dilemma: You want to go hard at the gym or take that new spin class but you hate wearing a full face of makeup or no makeup at all. I feel ya girl! The solution: Find products that are safe to sweat in. Although, this can be a tiring process of trial and error, it will be so worth it in the end to your beauty regime. I’ve personally tried and tested many products to determine what I can and can’t use to workout and sweat in. The key is find products that are oil-free and wont clog pores. I don’t believe anyone needs a full face of seven layers of makeup on a regular daily basis, unless of course your job calls for it (and mostly likely it doesn’t). If you have serious skin issues, I think the less product the better and to specifically spot treat target areas only. That being said, some of tried and tested products detailed below are formulated without parabens, talc, silicones, petrolatum, mineral oil and synthetic fragrances. Those chemicals can be extremely irritating to the skin and cause unwanted blemishes, especially when the pores begin to open up from sweating. I start every makeup application with a primer — like award-winner Everything Primer, $27 by Honest Beauty. 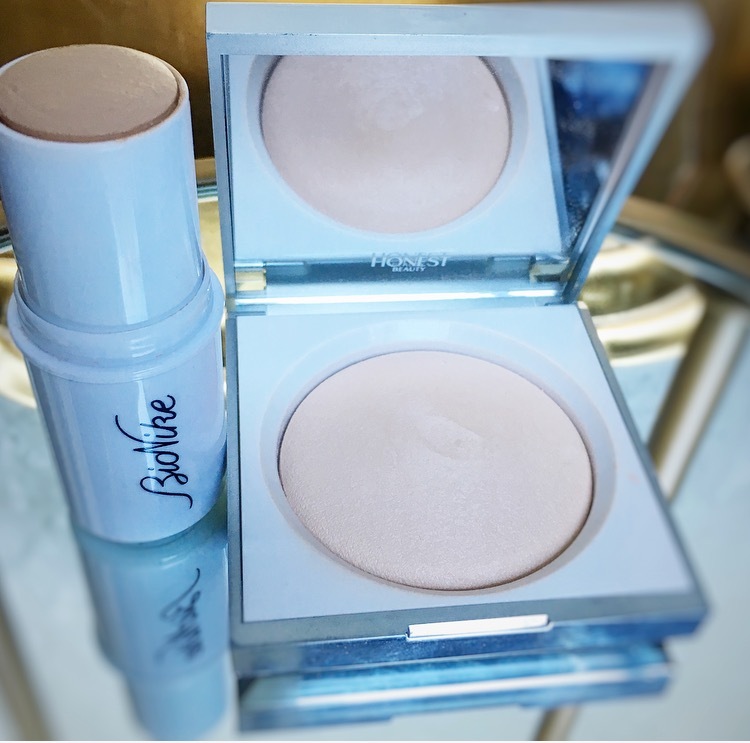 This luminous base gives skin an instant glow. Its hyaluronic acid and peptides help the skin appear smooth and make pores less noticeable. Your skin will get an instant boost and plumpness with out any harsh chemicals. Next, I use my newest (and current fave) foundation from BioNike, an Italian brand, Defence Color Cover Stick Foundation Camouflage. This richly pigmented foundation glides on to the skin smoothly and gives great overall coverage. The texture of this stick foundation is luxurious yet light. It provides a natural matte finish and is resistant to water or sweat. Once I apply that, I use a finishing powder like Honest Beauty’s Luminizing Powder, $25 to keep everything in place. This powder gives a beautiful radiance to the skin with one silky swipe. The lightweight texture keeps it from feeling too heavy on the skin and just adds the perfect healthy glow. On top of that, make the high points of your face stand out with indie brand Pinch of Color Honey Balm Waterless Stick, $35. I discovered (and fell in love) this product recently at the Indie Beauty Expo. It not only smells delicious, like honey, but when applied looks gorgeous on the cheekbones or cupid’s bow. You can even wear this skin-loving balm alone when you just want to look and feel more awake! If you’re like me, you like a touch of color on the apples of my cheeks and lips, but not too much. 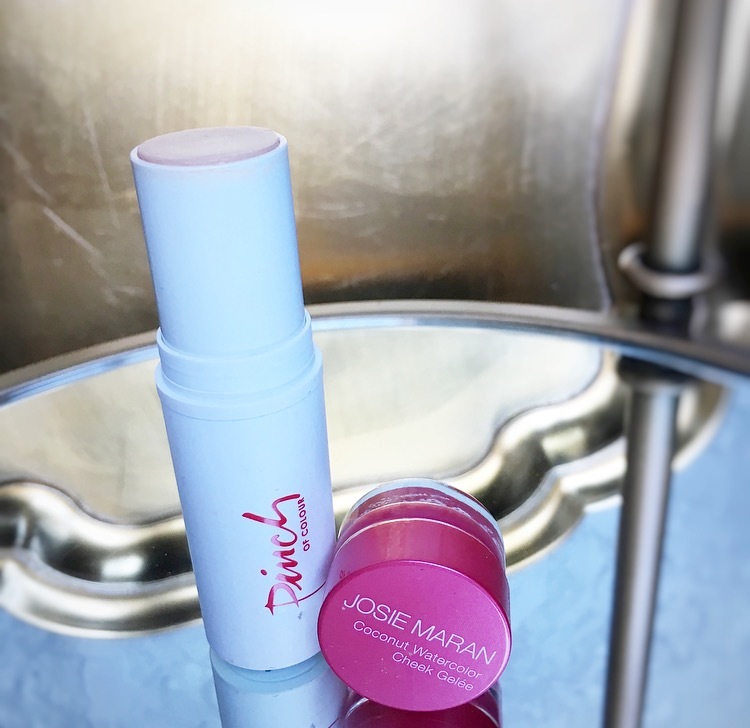 Try Josie Maran’s Coconut Watercolor Cheek Gelee, $22 in Pink Escape. This natural, coconut water infused blush gel gives the perfect touch of flush to the skin. The only application tool needed: your fingers. Last but not least, adding a bit of eyeliner and mascara always open up the face and eyes. But, it is not cute to end your fave workout with raccoon eyes. 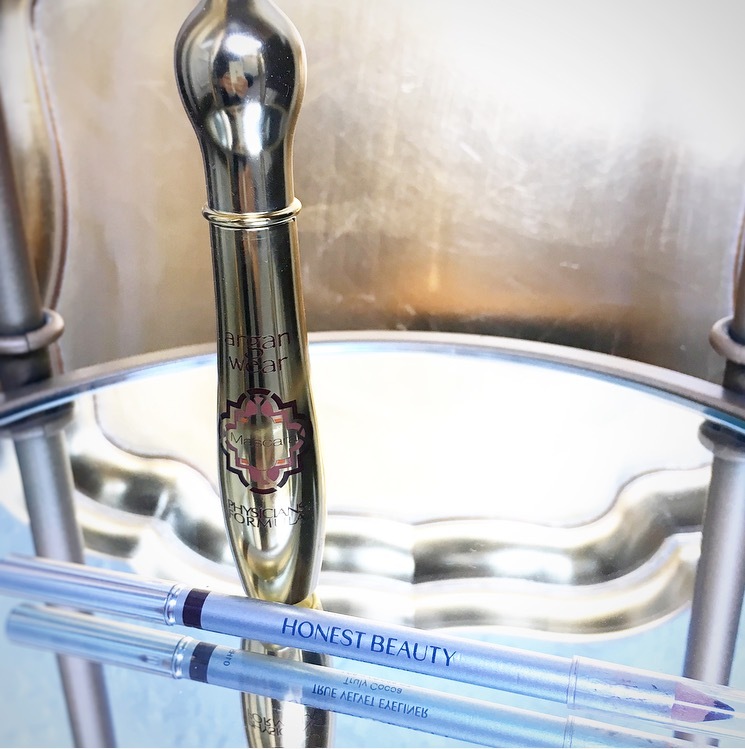 Honest Beauty really comes through with the dependable, healthy beauty products. The True Velvet Eyeliner, $16 is amazing for long wear and sweat resistance. The eye pencil gives off a vivid color that you can smudge out along the lash line or wear more distinctly. It protects the sensitive eye skin with ingredients like Mango Seed Oil, Vitamin E and Macadamia Oil. Finish the eyes with a drugstore fave, Physicians Formula Argan Wear Ultra-Nourishing Argan Oil Mascara in Ultra Black, $9.95. This mascara will give you healthier, fuller lashes in seconds. It’s infused with Argan Oil that is known for its nourishing and conditioning properties. And although this mascara is not waterproof, it DOES.NOT.BUDGE. Perfect for a gym sesh. I do have to warn you though, the first time opening this product it is VERY liquidly. I suggest opening a few days before use so some air gets in the tube and dries it out a bit and makes application less messy. As part of any beauty regime, of course, always always wash your face at the end of the day. That is the surest way to keep your skin blemish free. What is your go-to workout beauty routine?? Let me know in the comments below. NOTE: This post is not sponsored. All thoughts are unbiased and my own. Select products were provided for editorial review. Photos taken by Denise Del Russo and property of DIVAlicious.